Scott Crane used to play poker professionally under the guidance of his foster-father Ozzie, until a disastrous and strange game played on Lake Mead with a tarot deck. After his wife dies Scott experiences strange visions and attracts dangerous attention so he tries to contact his estranged foster-family, only to learn that his actions on that night years ago doomed him. Accompanied by his neighbour Arky, who is determined to beat his own fatal odds, Scott travels to Las Vegas to find his long-lost foster-sister Diana and escape his grim fate. Dangerous men and strange forces stalk the streets and casinos of Vegas as Scott and Diana discover their hidden legacies and fight to survive in a supernatural contest that’s been decades coming. Tim Powers has a reputation for well-researched historical fantasies, but this book is a contemporary one, set mostly in 1990, but with some early scenes in 1940s and references to events between those periods. It’s set mostly in Las Vegas, with characters travelling across the desert from California. 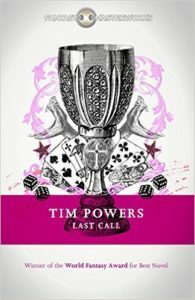 As with all of his books I’ve read so far Powers creates a very strong sense of place; the glamour of Vegas is shown as gaudy and the drudgery of those who live on the fringes is emphasised. As the title suggests poker is an important part of the story, though you don’t have to have strong knowledge of the game. Tarot also features heavily, but again knowledge of the cards is not needed, in both cases Powers lets his readers know the significance of the cards and their implications. There is a sense of dangerous, ancient forces behind the world, and the intersection between chance and gambling as a way of detecting and harnessing these forces is central, plus the major arcana archetypes from the tarot are representative of these powers. There’s also a strong connection to both the Fisher King and moon goddess mythologies. There is a magic system of sorts here, but it is not neat or easily-explained, rather it is powerful and alien. Magic is a dangerous force some people harness, others carefully avoid and the ignorant stumble into, but there’s a lot going on and much is mystical, frightening and strange. The main protagonists are seemingly ordinary people just getting along in life, often with modest or unusual livelihoods. The central character Scott Crane is unaware of his family history and unprepared for the magical weirdness that descends on him. Scott is in many ways a weak person, but his weaknesses are very human and, were it not for his odd circumstances, would be pretty mundane. Though he gives in to temptation and makes poor decisions a few times he eventually finds strength to overcome at least some of his issues while dealing with supernatural forces. The other protagonists – Scott’s terminal-patient neighbour Arky, his cautious foster-father Ozzie and his discontented foster-sister Diana- have more idea of the forces at play. Diana too never really credited the superstitions they were raised with, but her biological inheritance is even more powerful than Scott’s and she becomes much more prominent in the latter part of the book as she fights the disappointment that has long held her back. Ozzie acts as the mentor character, who has a lot of wisdom, but true to the archetype of this role never explains the reasons behind his odd prohibitions, to the detriment of both his foster children. Even as the true nature of things is revealed to Scott and the reader Ozzie’s knowledge of this world remains mysterious. As is common in Powers’ books it’s the antagonists who know most about the forces behind the world and who seek to control or manipulate them for their own ends, destroying others in the process. The main antagonist Leon is bad enough, having stolen a mystical kingship from Bugsy Siegel decades earlier and set up a system of stealing other people’s lives to prolong his own. There’s a rogues gallery of strange and unpleasant people set against the main characters in various ways. Working for Leon is his loyal, fat henchman Vaughan who has a very odd appetite, and contract killer Al Funo whose fragile masculinity makes him psychopathic, especially when he follows his own whims. Then there are people with separate agendas, such as badly-damaged Dondi Snayheever who exists mostly in a world of mythic archetypes and Ray-Joe Pogue who seeks the mystical kingship through sinister rituals and abusive treatment of his half-sister. 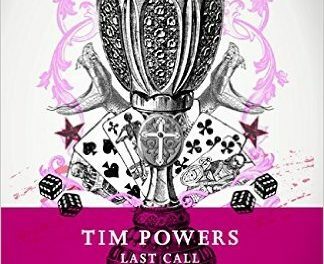 This is a story that features a lot of strangeness, a lot of action and -as might be expected from a book with the poker theme- a lot of twists and changes in fortune. The hero is flawed and the supporting characters feel realistic if it isn’t always easy to feel sympathetic towards them. The antagonists are properly nasty and it’s almost more fun disliking them than bonding with the protagonists. The story flows well, with Easter Sunday acting as a mystical deadline to ramp up the tension as time grows short and the situation becomes more dangerous. The philosophical aspects of the magic are hinted at but explored only a little, not allowing the pace to slow. 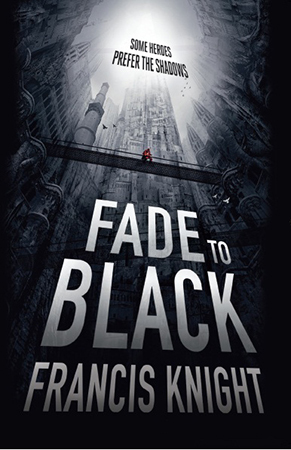 The intriguing mystery combined with criminal activity, mystical dangers and uncertainty about what’s going to happen next pull the reader along swiftly. A great read for any lover of modern fantasy, or anyone looking for a read that’s out of the ordinary.